A diverse range of conditions and diseases of the heart muscle and its fibers, cardiomyopathy can affect males and females, and people of all ages and races. Researchers believe as many as 1 in 500 adults may have some form of it.1 The cardiomyopathy definition is one that points to an enlargement, thickening, or rigidity of the heart muscle. Scar tissue may play a major role in rare cases. Progressive in nature, the disease takes a few different forms and can either be inherited, passed on through genes from a parent, or acquired. Other diseases, conditions, or risk factors can contribute to its development. It is a disease of the myocardium. Although there are several types and causes, the condition leads to a progressive weakening of the heart most of the time. This makes it less efficient at pumping blood throughout the body. Various complications can result, including irregular heartbeat, heart valve problems, or heart failure, making it one of the most significant cardiac and vascular conditions. Dilated: The heart muscle is in a weakened state and cannot efficiently pump blood. The most common form of the disease, it is characterized by stretching and thinning of muscle tissue, causing an expansion of the ventricles. Although seen in people of any age, it’s more common in men and the most common form of the disease in children. Hypertrophic: Likely genetic, it is a thickening of the heart walls in the lower heart chambers or the septum, which separates the left and right side of the organ. Blood flow through the heart is restricted due to the narrowing or blockages caused by the thickening. The mitral valve may be affected, and heart tissue can change at the cellular level as well. This disease is often inherited and diagnosed during childhood. Arrhythmogenic: Often inherited, it causes irregular heartbeats. A rare form called arrhythmogenic right ventricular dysplasia replaces the right ventricle muscle with fat and fibrous tissue. It’s also attributed to sudden death in young athletes. Restrictive: The rarest form of the disease, this is a stiffening of the ventricles. It prevents the heart from relaxing enough, so it can fill with blood and is associated with conditions such as amyloidosis or hemochromatosis. Heart transplant recipients with scarring of the cardiac walls later may develop this disease. The condition is often diagnosed and treated by a pediatric cardiologist or cardiovascular doctor. A doctor should be consulted if you have one or more signs of a problem. Chest pain, difficulty breathing, or fainting should be considered an emergency. The diagnostic process begins as a physician examines one’s medical and family history, and the nature and duration of any signs or symptoms present. 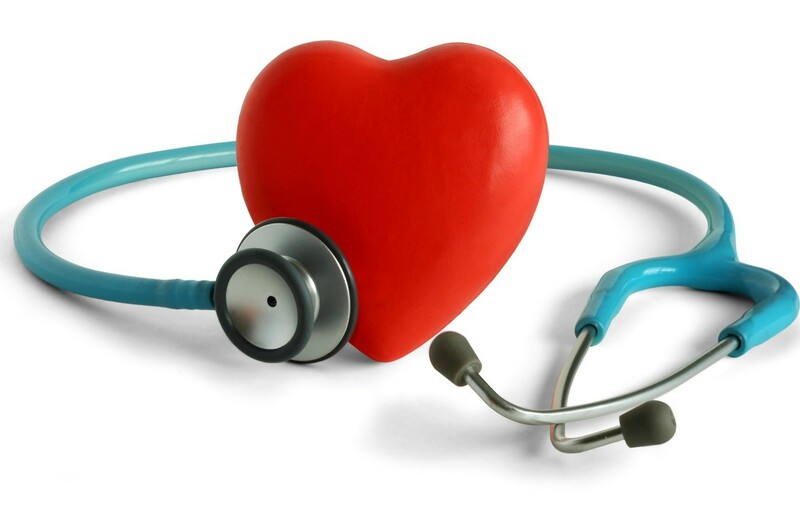 Listening to the heart with a stethoscope, a doctor can check for abnormalities such as a heart murmur. The location, loudness, and timing of this sound can point to specific conditions, such as obstructive hypertrophic cardiomyopathy. In cases of heart failure, there may be a crackling sound in the lungs. Diagnostic methods include blood tests, chest x-rays (to see an enlarged heart or fluid in the lungs), and an electrocardiogram, which measures the heart’s electrical activity. Portable Holter and event monitors can be used for longer-term measurements. Electrocardiography (echo) images the heart while it is moving and is used to measure its size, shape, and blood flow; a transesophageal echo is used to view the back of the heart. Aside from stress tests, which are done while a person is exercising, there are numerous other diagnostic procedures. These include cardiac catheterization, which helps detect arterial blockages, and coronary angiography, a catheterization procedure that involves injecting a dye, so doctors get a clear picture of the heart and blood vessels. Biopsies of heart muscle may be done as well. If cardiomyopathy runs in your family, genetic testing is a possibility to assess your risk. Who Is Prone to Cardiomyopathy? Those most prone to the disease have a family history of heart disease or stroke. In determining your risk, it’s important to know if a mother, father, grandparent, brother, sister, or even more distant relatives had cardiovascular diseases. If so, doctors can screen you for the disease even if no symptoms are present. Hypertrophic cardiomyopathy is usually an inherited condition, so there’s not much to do to prevent it. Genetic mutations or changes in heart muscle proteins can cause it, but age or high blood pressure may play a role. Dilated forms of the disease may be diagnosed by a cardiologist doctor in people who drink alcohol and have a poor diet. Poisons, heavy metals, illicit drugs, and viral infections of the heart muscle can leave one prone to this heart disease. Complications during late-stage pregnancy can as well. Those with a genetic tendency may not have complete control over its prevention, but the risks of heart disease can be reduced with sufficient sleep, healthy eating, and physical activity. Avoiding alcohol, illicit drugs, and smoking are heart-healthy lifestyle changes to consider, as is managing stress, which comes with increased chances of high blood pressure and other cardiovascular issues. If a doctor has diagnosed you with cardiomyopathy and has prescribed medication, be sure to take it at the times indicated. Also, follow through with all recommended lifestyle changes, go to all scheduled medical checkups, and follow treatment plans for high blood pressure, diabetes, and any other underlying problems. A person’s outlook depends on the type of condition and the level of progression. The more advanced it is, the worse the symptoms and more likely the prognosis. However, there are many methods of treatment available that can prolong life. Medication: Often this involves medications for high blood pressure, controlling heart rhythm, balancing electrolytes, and preventing blood clots and/or water retention. In some cases, you may take diuretics to eliminate excess sodium, or beta blockers/calcium channel blockers to slow the heart rate. Anti-inflammatory drugs may be prescribed as well. Nonsurgical/Surgical: Ablation may be used to kill cells, to reduce the size of thickened tissue. If surgery is recommended, possible procedures include a form of open-heart surgery called a septal myectomy. It is most often used in younger patients with hypertrophic cardiomyopathy. This option of cardiac care is chosen when medications don’t work as expected, and it involves removing part of the septum blocking the left ventricle to improve blood flow. Implants: Devices may be implanted to treat patients and include those that synchronize heart contractions between the left and right ventricles. An implantable defibrillator uses wires to deliver an electric shock if a life-threatening arrhythmia is detected. Implanting a pacemaker is another option to restore a normal heart rate. In more extreme cases, a left ventricular assist device is connected to the heart to help it pump blood. It can be a long-term solution but is also used for people on a heart transplant waiting list. An organ transplant is the last resort for someone with end-stage heart failure. At our locations in The Villages, Florida, you can find a local cardiologist who can provide a risk assessment or test for cardiomyopathy if you have any symptoms. Many common medical tests can be conducted at our same-day clinic. We serve patients at our Lake Sumpter Landing, Lake Cardiovascular Diagnostic Center, Leesburg Office, and Lecanto Office locations. Thanks to board-certified cardiologists and state-of-the-art diagnostic imaging centers accredited by the American College of Radiology, we can quickly and accurately diagnose conditions and provide a range of therapeutic and surgical treatments tailored to each individual patient. To schedule a consultation, risk assessment, and physical examination, set an appointment using our online form or give us a call today at 352-633-1966.